Last year, there was some talk of a Stonewall Japan book club. I created a group on Goodreads, but then nothing ever came of it, but here (the first half of the list) are some books I would like to read if I can ever get that going. As usual, these are in no particular order. Takarazuka: Sexual Politics and Popular Culture in Modern Japan, Jennifer Ellen Robertson We’re in Japan, so we should read about Japan, right? The Takarazuka Revue is a wonderful thing that must be seen to be believed. It’s a homosocial world of all women actresses with adoring female, usually married, fans. There’s a lot to chew on here, and maybe we could go to a show after? The History of Sexuality, Michel Foucault I admit, I have mostly selfish reasons for wanting to read this one with a book club. First, I know some people in Stonewall Japan are totally smart enough to understand it. Second, I’m not that smart. I would love to sit at Chu’s over ginger ale and talk with some other expat queers about this book. 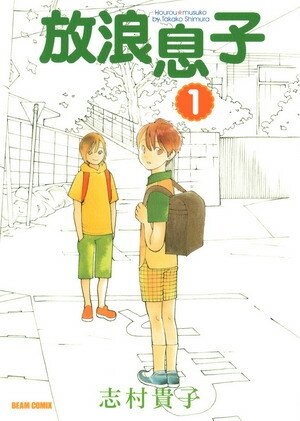 Hōrō Musuko (Wandering Son), Takako Shimura This manga is a story about two friends, a trans girl and a trans boy, as they’re growing up. It was adapted into a twelve episode anime in 2011, too, so we could do one of those “read it and then watch the movie” things. Boys Love Manga and Beyond: History, Culture, and Community in Japan, Mark McLelland I know that at least one Stonewall Japan member is researching BL manga for a doctorate thesis, so I would love to read this and then pick her brain about it. BL was the first queer content I could access as a rural queer teenager and, really, how weird is that? a white American teenage lesbian reading about gay Japanese boys in comics written largely by and for straight Japanese women. This would be a great discussion book. 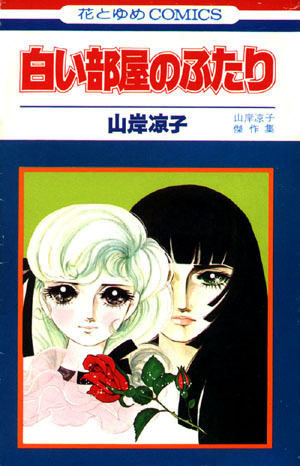 Shiroi Heya no Futari (Our White Room), Ryoko Yamagishi I admit, I had never heard of this one before I started looking for books to add to my list, but Our White Room is the trope codifier for a certain subgenre of girls love manga, originally published in 1971. Bad Girls of Japan, Laura Miller This one isn’t strictly a “queer” book, but it could be some interesting discussion fodder for Dyke Weekend. So much of a nation’s fears and hopes are projected onto the bodies of young women, and how young women act to acquiesce, subvert, or challenge patriarchal societies is always interesting. Revolutionary Girl Utena, Chiho Saito Utena is a classic girls’ manga. I think everyone’s heard of it, at least; I know I’ve never had a chance to read it, but a book club would be the perfect chance and I know from overheard discussions that there is a lot in this to talk about. Kitchen, Banana Yoshimoto This is a famous contemporary work of Japanese literature (which I have never read) and one of the major characters is a trans woman. Queer Voices from Japan: First Person Narratives from Japan’s Sexual Minorities, Mark McLelland There’s been plenty written about Japan by 外人 (gaijin, foreigners) in English, but what I think makes this book a good one for discussion is that it’s translated essays from queer Japanese people, dating back to the 1940s and 1950s. What Did You Eat Yesterday?, Fumi Yoshinaga This is a sweet manga about the blossoming romance between two middle aged men in Tokyo, a salaryman and a hairdresser. The salaryman loves to cook, and their romance is told through their meals together and it’s really sweet. There are so many good books about sexuality in Japan, but I didn’t want to just list them all here. I know a lot of these are dense academic texts, but this is the kind of conversation that I know I enjoy, and judging by the Facebook group comments, I’m not the only academic queer expat who enjoys this kind of conversation. After last week’s big push, I found myself in a slump. I read all the good stuff and I didn’t have anything left that really excited me. But with a month to go until my Goodreads 2014 Challenge closes, it’s crunch time. I have to keep reading; I have just under a month to read twelve books. Now was not the time for a slump. So what did I go? I’ve read a lot of nonfiction this year, which is new for me, but often I find that it holds my attention, even when fiction falls flat. I mean, there’s just so much cool stuff out there in the world, ways of considering things I took for granted. 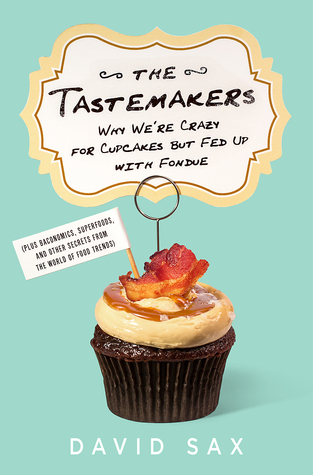 So right now, I’m reading The Tastemakers: Why We’re Crazy for Cupcakes but Fed Up with Fondue. What do I know about food blogging? The closest I get is sharing photos of cakes on Instagram. I’m not a foodie, but The Tastemakers has been fascinating. I also started, then set aside, Reading Like a Writer. I think Francine Proses’s book will be a good one for honing my writing craft, but a chapter dedicated to the singular importance of a the perfect word in a well constructed sentence… Well, it’s not very appropriate reading for the last week of NaNoWriMo, so I put it down for awhile with the intent to come back at a more opportune time. Meanwhile, because I don’t want to be reading no fiction, I’m continuing my reread of Scott Westerfeld’s So Yesterday, which I started during our school’s D.E.A.R. program. I loved this book so much in high school. As part of my NaNoWriMo participation, I (re)read along the week-by-week chapters of founder Chris Baty’s No Plot? No Problem! for helpful tips and pointers I forgot in the seven years since I won. That was the only book I finished reading this week. All of my time went to writing. What do you think that you’ll read next? I’ve got A Mad, Wicked Folly on my phone, because it keeps coming up on book blogs and hey, women’s suffrage. Other than that, I don’t have anything in particular lined up, because a) that’s not really a thing that I do, and b) I’ve got to be reading a lot, and while a list of possibilities is helpful in keeping me motivated, a list of “requirements,” or a list that feels like a chore to complete, will only make me drag my feet. 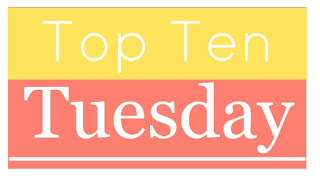 “What Are You Reading?” Wednesdays are hosted by Should be Reading. My fiend and I have this thing about Among Others. Neither of us can decide if we like it. I liked parts of it and didn’t like other parts of it, and I’m not sure I’ll ever reconcile those bits into a book I have a definite opinion about. We’ve talked about this a lot, so when I saw the Japanese edition for sale at Village Vanguard, I snapped a photo and sent it to her. I thought it was a strange design choice, because it doesn’t hint at all about the fantastic/magical realism elements that make this book this book – but it is right there in the title, 図書室の魔法, “Library-room Magic,” or “The Magic of the Library,” as best as I can translate. But it looks, visually, like a school story; I get an almost Anne of Green Gables-ish vibe out of these. My friend said they looked much “younger” than the book; I think this is just “kawaii” in action. So of course, I went to Goodreads to investigate. We got talking about the other editions of this book. My friend said she didn’t like the American edition: Morwenna’s injury and her subsequent disability is a major part of this book, and the American edition (left) shows a slender girl frolicking in a field, wearing a floaty white dress. I think the hazy photograph captures the feeling of the book, but maybe not the orange. 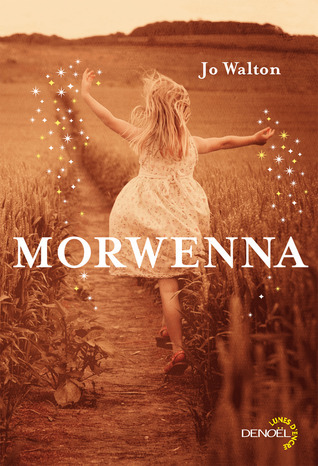 The French edition, retitled Morwenna, has the same vibe: a white girl in a white dress, skipping and surrounded by stars or glitter or fairy dust for some reason. This one is a little more excusable; I think this is little girl Morwenna, before the accident, working magic somewhere as a young girl. What gives with the frolicking? Morwenna is a protagonist with disabilities. The French and American editions erase that part of Morwenna’s character which, in an age of #WeNeedDiverseBooks, is honestly a bit disappointing. 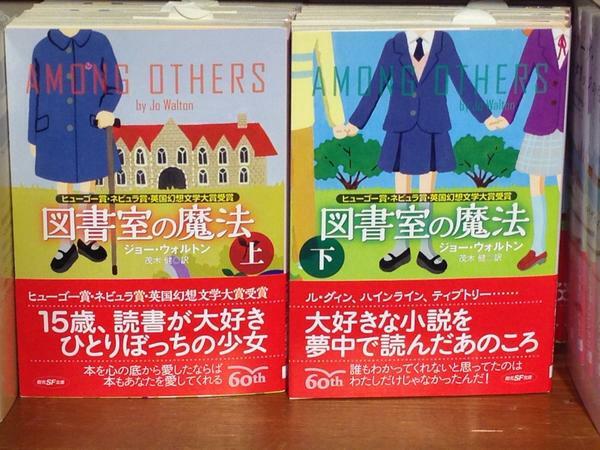 Even the oddly kawaii and not-at-all magical Japanese edition clearly shows her with a cane in the first book, though she’s lost it in the second where she’s holding hands with her friends. The Spanish-language version ignores Morewenna’s cane and looked too genre for the book, which I guess is a strange thing to say about a story that’s a love song to science fiction/fantasy genre fiction, but I don’t think that’s the tone of this story. This cover comes off too paranormal romance for my tastes. This isn’t a book I would be “selling” to my students, but if I was trying to get a friend to read it, I’m not sure this cover would tell them what I want them to know, going in, about the story I’m asking them to read. I ask people to read this book a lot. I’m always saying, “I don’t know how I feel about this, please read it.” I want someone to make up my mind for me. 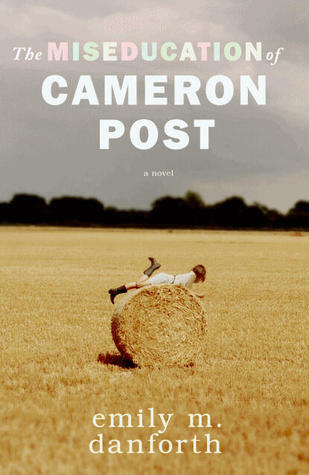 I want someone to work out the tangle of opinions I have about this book, because I can’t decide how I feel, and so I ask people – smart people, people I trust, people whose book recommendations I always accept – what they think. If I had my pick of any cover, I would go with the Polish edition. Morwenna is depicted, and although you can’t see her cane in the cover art, it also isn’t not there; there’s no reason that it’s not just out of the frame. I think this artwork captures some of the magic of the story, carrying over the sparkles and stars from the French and American editions without any frolicking in sight. It also recalls a specific scene for me, which I think is strong cover design. I like the aha! moment when you read a book and realize, this is that picture. Maybe that’s just me, though. The next-best option would be the Turkish edition. 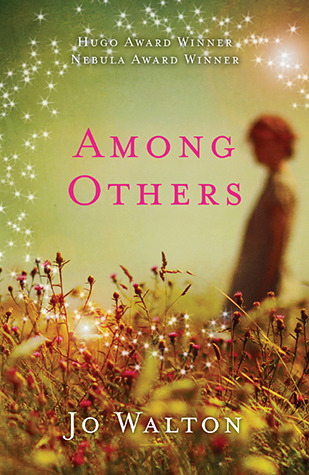 Morwenna isn’t depicted at all, which is un/fortunate: fortunate, because at least she’s not depicted frolicking, and unfortunate because it missed the opportunity to say, this is a book about a protagonist with disabilities. But it gets the mood right for the story. It highlights the awards won, and the Ursula K. LeGuin review quote signals what kind of fantasy we’re in for, here; Among Others is a magical realism/urban fantasy border story. It’s an ode to the kind of story that Ursula K. LeGuin writes, and the kind of story that wins genre awards. 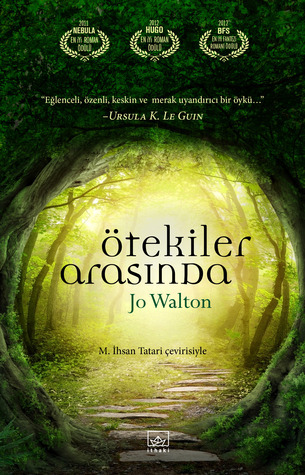 I would hand this book to my friends, if any of my friends read Turkish. 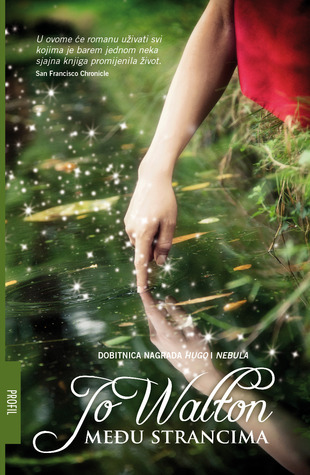 I think the Polish cover deserves a special mention. It’s got the genre (although this “reads” a little more sci-fi and a little less magical realism, but that could just be me), the awards, and it very prominently features Morewenna as she’s described in the book, using her cane. I wish I liked this cover better. It has everything that I said I wanted, but somehow it doesn’t speak to me. However, if I were buying this book for the secondary library, this is the edition I would want… too bad our collection is mostly in English, not Polish. Book-a-Day is not a competition. It’s an opportunity to enjoy marvelous reading experiences and rededicate to daily reading. Ultimately, it doesn’t matter what we read, or how much, or when. What matters is that we have fun and indulge in our favorite leisure activity—reading a lot of books! I look forward to my summer adventures, both inside and outside of books. So, there you have it. Today is the first “real” day of summer vacation (i.e., the first day when I would otherwise have been at work – weekends don’t count! ), and to celebrate, I finished reading Naomi Wolf’s The Beauty Myth. This text is a modern feminist classic and it’s easy to see why. Some of it was outdated (e.g., her shock at photoshopping) and I would have liked to see more analysis of queer and trans women’s experiences of the beauty myth, but for something written when I was two years old? It’s powerful, and it made me think about beautification in an entirely new way; conceptualizing the beauty myth as political and economic, not as sexual, was a huge revelation and has changed the way I think about images of oppressive beauty and the desire to live up to those expectations. I said something similar in undergrad during my film class, about how as women’s characters on screen became more interesting and took up more and more narrative “space,” the women actors portraying those characters became thinner and took up less and less physical space. I was also not expecting the “Violence” chapter to be about diets, disordered eating, and cosmetic surgery, but those are forms of violence; maybe highly sublimated forms of self-harm, but still violence. Like she says in the book, a starving body doesn’t know who is denying it nourishment, or why; the physical and psychological effects are the same. I’m glad I picked this up and frankly, I’m surprised it took me so long.